Ahhh, the Sally Hansen Nail Prisms. Some of the most awesome nail colors ever. 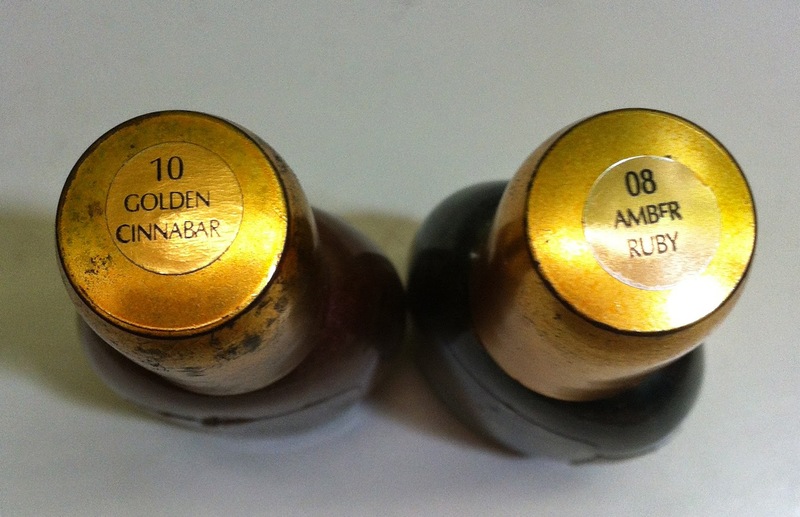 This is my second bottle of Amber Ruby, which is why it is in better shape than Golden Cinnabar. I don't want to use it so I can save it for special occasions, which will probably never happen. Why oh why did they ever get rid of these? They look like beautiful colors!